Sole network provider of residential fibre broadband in Singapore. Stable and recurrent cash-flows from a customer base of 1.3mn. Future growth from NBAP and non-residential end-user connections. We initiate coverage on NetLink Trust with a target price of S$0.89. We used a DCF approach in our valuation because of the regular stream of cash generated from NetLink Trust’s fibre business. Our valuation is based on a WACC of 6% and a terminal growth rate of 1%. 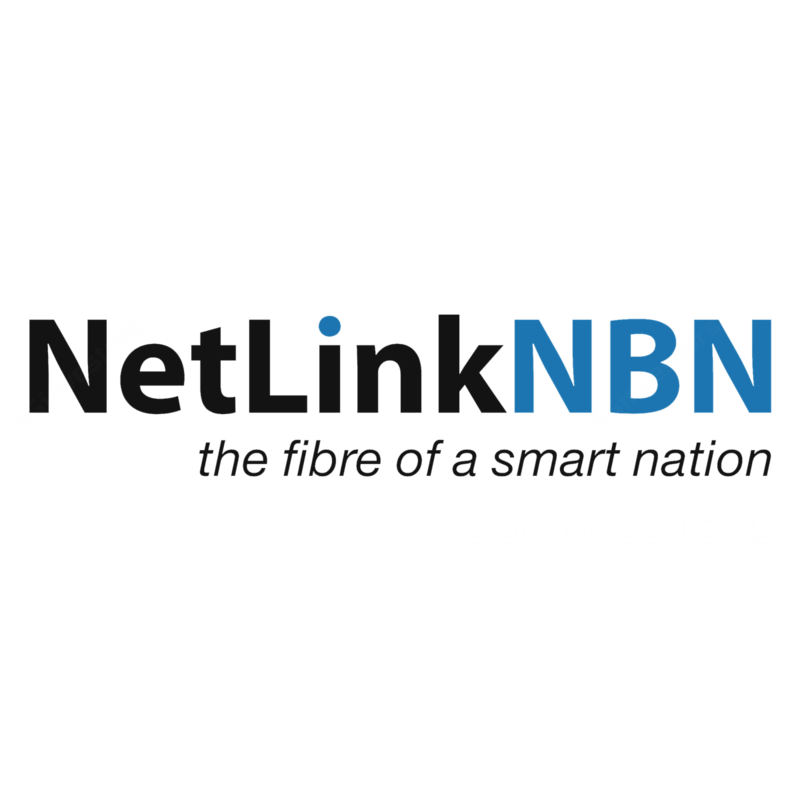 NETLINK NBN TRUST (NetLink Trust, SGX:CJLU) is the only fibre network with nationwide residential coverage in Singapore. NetLink Trust designs, builds, owns and operates the passive fibre network infrastructure which includes ducts, manholes, fibre cables and central offices. As of 31 December 18, NetLink Trust supports close to 1.3mn residential end-user connections and more than 45,000 non-residential end-user connections and 1,462 Non-Building Address Point (NBAP) across Singapore. NetLink Trust owns more than 16,000 km of ducts, 62,000 manholes, 76,000 km of fibre cables and 33,000sqm of co-location space. 1. Sole network provider of residential fibre broadband in Singapore. NetLink Trust nationwide residential coverage in Singapore accounts for about 60% of its revenue. The asset base of more than S$3bn and the duration needed to build a comparable network across Singapore, will pose a major barrier to entry. Any meaningful return on investment would be a challenge without similar financial assistance from the Singapore government. Under iN2015, NetLink Trust received an aggregate grant worth of S$732mn. 2. Stable and predictable revenue stream. We believe NetLink Trust enjoys a resilient business model because the majority of its revenue is derived from recurring subscription fees (~67%) from residential and non-residential fibre connections. In the long run, the residential segment is pegged to new homes build or population growth. Growth could also stem from dual fibre connections per household. Cancellation of connections is rare. In the medium term, growth in residential connections is being propelled by migration of legacy Asymmetric Digital Subscriber Line (ADSL) and Hybrid Fibre Coaxial (HFC) connections to fibre. We project the residential segment to grow 11.5% to 1.4mn connections and the non-residential segment to grow 5.3% y-o-y to 48,800 connections in FY20e. 3. Future growth from NBAP and non-residential connections. Although revenue contribution from NBAP is still modest (~2% of revenue) we expect government smart nation initiatives to propel growth. We project a 41% y-o-y growth rate in FY20e. Non-residential connections provide an additional avenue for growth. Demand is expected to come from SMEs as they upgrade to fibre for cloud-based applications. However, there is competition from retail service providers (RSPs) with their own fibre infrastructure and competes directly with NetLink Trust. Hence, we are more conservative with our projections and give a 5.3% y-o-y growth rate for FY20e. Increasing demand for high speed and low latency broadband service for online video streaming and audio services, video communications, cloud service and internet of things. 2. Growth in market size. Growth in population, household and residential premises, demand for multiple subscriptions, growth in enterprises and office space, demand from mobile telco operators. 3. Migration from older technologies to fibre. Migration of users from older broadband technology such as ADSL and HFC. Starhub will contribute ~80,000 migrations in 2019. COPIF 2013: New residential units with planning permit after May 2013 are required to have at least one fibre termination point pre-installed. Increase in number of hotspots for Wireless@SG. Fibre Ready Scheme: Subsidised one-time installation for in-building fibre for non-residential. Grants to improve productivity and performance of SMEs through adopting new technology. NetLink Trust has two streams of revenue namely fibre and non-fibre. Fibre revenue includes residential, non-residential, NBAP, installation-related, diversion and co-location. Residential fibre currently supports 1.28mn fibre end user connections. Each end user typically pays a monthly recurring charge (MRC) for the use of NetLink Trust fibre network through an RSP like SingTel (SGX:Z74). This revenue becomes the core of NetLink Trust's stable and predictable revenue stream. We project residential connections to grow 11.5% to 1.43mn by FY20e. The growth is attributable to migration of older technologies like ADSL and HFC to fibre connecting up remaining ~2% of Singapore’s residential network. According to Media Partners Asia (MPA) an industry consultant, Singapore will reach the 100% coverage for fibre connection by 2020. In the long run, we expect growth to be pegged to organic household growth or population growth. Hence, we have incorporated growth from new homes built into our model including after reaching 100% coverage (~20,000 homes/ year). As of 3Q19 there are 45,734 connections to businesses, shopping malls, hospitals and schools, and these non-residential customers pay S$55/mth. NetLink Trust is well positioned to benefit from growth in this segment because of its extensive network that allows access to non-residential end users in a cost-efficient manner. In the medium term, we expect the segment to benefit from government initiatives and grants like the Fibre Ready Scheme to promote improvement in productivity through digitisation. RSPs have their very own fibre infrastructure and compete directly with NetLink Trust. We assume a more conservative growth to non-residential of 5.3% y-o-y in FY20e. NBAP refers to a location that does not have a physical address or assigned postal code. Such locations can include bus stops, lamp posts, multi-storey carparks and traffic lights. NetLink Trust typically charges S$73.8 per NBAP connection. NBAP is used for applications such as wireless network base stations, cameras and sensors. These connections are essential in collecting real-time data from a network of sensors (e.g. monitoring weather conditions). Contributions from NBAP are still modest and we expect government initiatives like the next phase of wireless@SG, potential introduction of Heterogeneous network (HetNet) and 5G network to propel growth. We project a 41% y-o-y growth in NBAP connections to 2,063 from 1,462 in FY20e. We expect higher growth and demand for NBAP connections with the progressive rollout of smart nation programmes. Installation related revenue comprises of one-time charges for the installation of a termination point at residential, non-residential and NBAP connections. Charges include new, relocation, repair, replacement or removal of existing termination points and fibre. Installation charges and new service activation charges are typically paid by RSPs. New service activation charges are S$53 and S$64 per connection for residential and non-residential/NBAP respectively. Diversion revenue is generated upon request from third parties such as developers and the Land Transport Authority for the diversion of NetLink Trust’s ducts, manholes and fibre cables. Diversions include events such as road works, construction of MRT infrastructure and tunnels and building construction. Diversion revenue is not predictable because of its ad hoc nature. The growth in co-location revenue is based on overall end-user demand for fibre connection services. Mainly comprises of MRCs received from Requesting Licensees to use space in co-location rooms in central offices to store their equipment racks, power, cooling and project study works. Majority of Ducts & manhole service revenue is from SingTel. Sales are generated when SingTel uses the ducts & manholes spaces for its business needs. The central office revenue is mainly revenue received from SingTel for the leasing of space and equipment at the central offices for security, maintenance & administration. Ducts & manholes are under the RAB model while the central office is non-RAB. Operation and maintenance costs include the maintenance expense of NetLink Trust’s network of ducts & manholes, fibre and central office, utilities, property management fees and warehouse management fees. Installation costs are driven by residential, non-residential and NBAP end user connections. Costs should be in tandem with installation revenues. Diversion expenses are pegged to diversion revenue and it tracks close to 70% of revenue. NetLink Trust possesses significant investments in its fibre infrastructure which translates into high depreciation charges. Depreciation is the largest expense item, accounting for 56% of the total expense. NetLink Trust uses straight-line depreciation method for its network assets that have a useful life ranging from 23 - 50 years. Amortisation of license fees totals S$10mn p.a. using the straight-line method over 23 years. There is no impact on distributions as these items are non-cash in nature. Staff cost is rising due to increasing headcount attributed to larger scale of NetLink Trust’s operations. Staff costs have crept up since IPO from 7% to 8% of total expenses. We expect staff costs to remain stable in FY20e. Given NetLink Trust’s extensive network infrastructure, PPE is the largest item in its balance sheets. NetLink Trust’s PPE comprises of more than 16,000km of ducts, 62,000 manholes and 76,000 fibre cables. Alongside with leasehold land and buildings, exchange equipment, furniture, fittings and equipment and motor vehicles. Useful life ranges from 23-50 years for network assets. Net gearing is expected to be 13% in FY20e. The loans are mainly committed revolving credit facility (RCF) and term loans. The S$210mn 3-year RCF matures in June 2020 and the S$510mn term loan matures in March 2020. Interconnection offers (ICO) are prices set by Info-communications Media Development Authority (IMDA) and are regulated using the RAB model. Current prices are subjected for review in 2022. Base year of RAB is 2012. Assets purchased up to and including 2012 are valued at 2012 prices, assets purchased after 2012 are valued at actual cost. Depreciation for useful life for ducts & manholes is 35 years and fibre is 25 years. The return on capital is based on nominal pre-tax weighted average cost of capital (WACC) derived using the Capital Asset Pricing Model (CAPM) approach. Pre-tax WACC is 7% starting Jan 18. IMDA may change pre-tax WACC in the future. IMDA can also conduct mid-term adjustment in the third year if there are significant changes in cost inputs or demand forecasts due to unforeseen circumstances. Under the Singapore Income Tax Act, NetLink Trust will qualify for qualifying project debt securities (QPDS) because of the S$1.1bn (at 10.5% fixed interest rate p.a.) issue of NetLink Trust notes. The interest expense is tax deductible for NetLink Trust, interest income received by the trust will be tax exempted. The tax savings will contribute to higher distributions to unitholders. NetLink Trust's distribution policy is to distribute at least 88% of its distributable income to the trust. The Trust's distribution policy is to distribute 888% of its Cash Available for Distribution (CAFD). We forecast S$888mn CAFD to unitholders in FY88e. Distribution yield works out to be 8.8% as of current stock price . There are three types of revenue that are relatively more volatile. Firstly, non-residential may face increased competition from RSPs. Secondly, installation-related revenue varies with the number residential, non-residential and NBAP connections. Thirdly, diversion revenue is ad hoc in nature and dependent on property and infrastructure projects. Note these revenues are only approximately 88% of total revenue. There will be a review of the average cost of capital WACC of 8% in 8888. Anh downward revision in WACC will impact NetLink Trust’s regulatory pricing. In our opinion, the current rising interest rate environment will offset any downward pressure on WACC. Failing to meet the quality of service standards. Potential losses of revenue or fines from IMDA could incur. Although NetLink Trust is required to set aside S$8mn a year for regulatory CAPEX reserve, huge spikes in CAPEX would impact distributions to unitholders. We initiate coverage on NetLink Trust with a target price of S$8.88. NetLink Trust resilient business model ensures limited volatility to its sales and its cost base. We used a DCF approach in our valuation because of the regular stream of cash generated from NetLink Trust’s fibre business. Our valuation is based on a WACC of 8% and a terminal growth rate of 8%.